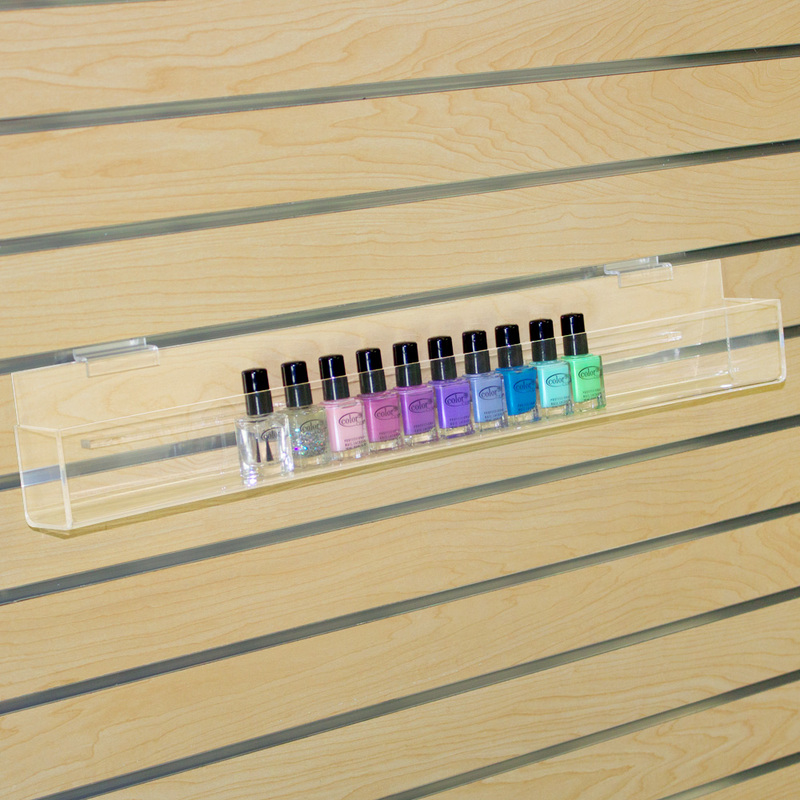 Crystal clear slatwall shelving for nail polishes, beauty products, paper goods and more! The J-shelves design features additional acrylic spacer on the back of shelf which creates an upward tilt for easy browsing and closed ends. Practical design with 55cm depth will display a wide variety of products such as skincare bottles, nail polishes, or cooking spices. This slatwall shelving fits onto slatwall panels and all other slatwall displays. Interior holds products up to 2 1/8 in. depth. For even more items, we invite you to take the opportunity to view our comprehensive range of slatwall shelving at Specialty Store Services now.